This is by far the biggest explanation as to why you aren’t getting conversions in AdWords. 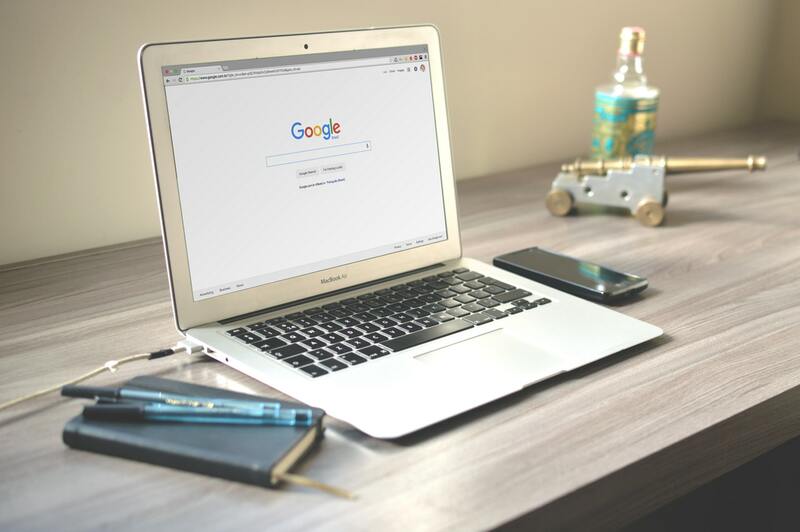 As a small business you most likely don’t have the budget to hire a dedicated AdWords manager so the burden often falls on someone who is juggling more than one role. In order to get the most out of your campaign, you have to continuously analyze your past performance and regularly update your campaign. Even if you’re a PPC expert, you won’t see the results you want if you don’t have the time to regularly go into your account and make the necessary changes. Another problem we often see is businesses who believe they shouldn’t bid on their own brand because they come up first in the organic results. However, this doesn’t take into account the other competitors that may be bidding on your brand whose ads would show above your organic spot. A quick Google search of the meal kit service, Blue Apron, illustrates this. 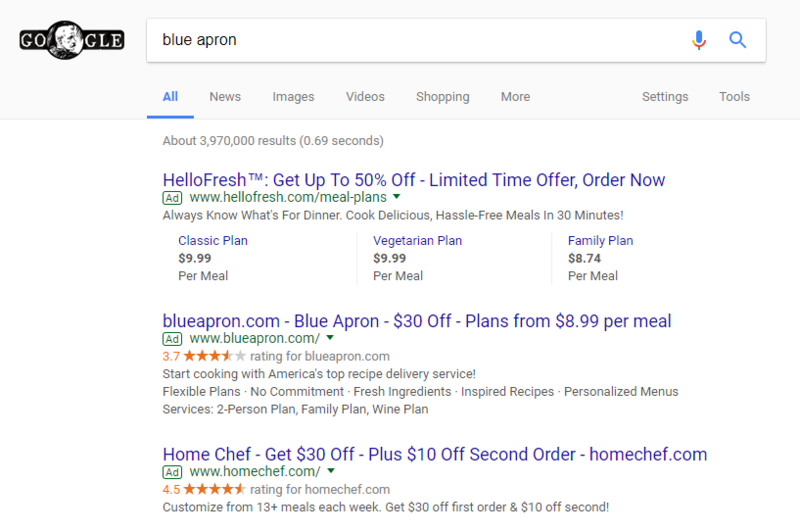 As you can see I searched “blue apron” and the first result that came up was for one of their competitors, Hello Fresh. The main goal of bidding on your own brand is to make sure this doesn’t happen to you. What’s even better? Brand keywords are typically on the cheaper side due to lower traffic and these searchers are more likely to convert. Many businesses fail at AdWords because their goals are too general. It’s easy to say your goal is to increase your sales, but how are you going to achieve that? It is a better practice to pick a specific KPI to track and set a target to hit. This way, not only are you defining success, you are also giving yourself a way to track your performance. 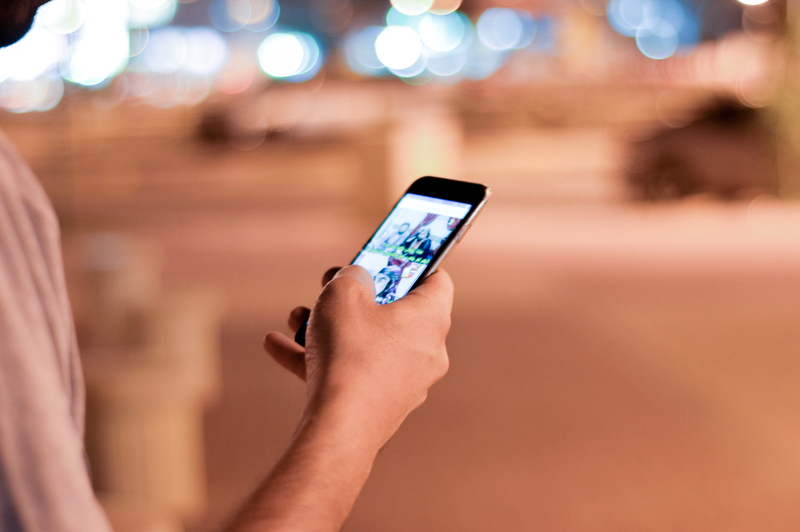 Setting up conversion tracking on your website is crucial to measuring the success of your ads. Unless you have this set up, you’ll still be seeing your clicks, but you won’t know if these clicks are resulting in sales. If you haven’t set up conversion tracking watch the video above or follow this guide. Even if you’ve come up with the perfect list of keywords, you are bound to have wasted spend if you aren’t using negative keywords. Negative keywords allow to better tailor who sees your ad by ensuring your ad doesn’t show for a particular word. Not only will adding negative keywords reduce spend from irrelevant searches, it will also increase conversions by targeting a more specific audience. 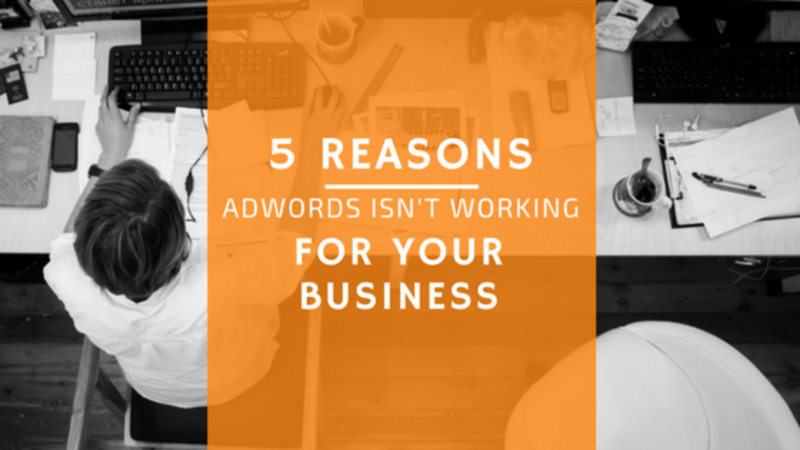 The key takeaway from this post should be to AdWords another chance! You don’t have to be a PPC expert to see results, you just have to come in with a game plan. Make AdWords work for you in just 5 minutes a week with LXRGuide.